CALGARY—The year was 1984, the place an industrial city in the north of England and to Vancouver’s Jon Kimura Parker fell the honour of winning one of the most prestigious piano competitions in Europe. “I was incredibly lucky,” the goateed pianist smiled modestly over breakfast last week, just before the finals of Canada’s most esteemed and the world’s richest piano competition, the Esther Honens International. 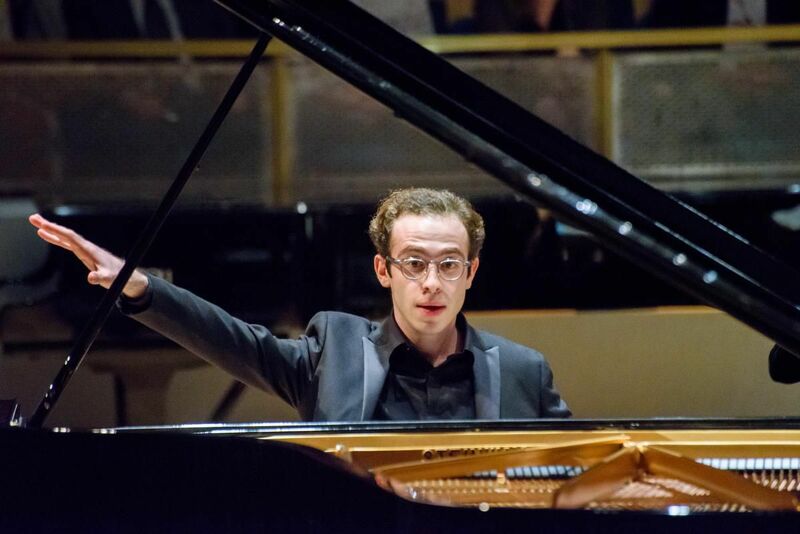 Now a professor at Houston’s Rice University and midway through a successful international career, Parker had come to Calgary as the Honens’ new artistic director to preside over the awarding of a $100,000 prize to the 26-year-old Georgian pianist Nicolas Namoradze. The cash wasn’t Namoradze’s only benefit. Perhaps even more important was a three-year career development package valued at $500,000, including concert engagements, a recording, a Banff Centre residency, mentoring and management. Winning a major competition opens doors. It does not guarantee a career. Parker recalls that his victory at the Leeds International Piano Competition sent him all over England and Canada, but years passed before he developed much of a career in the United States. Namoradze has already played in Georgia, Hungary, Spain and the U.S. (he is currently pursing a doctorate at City University of New York), but the next few years may prove critical in securing a foothold in an overpopulated profession. Yi Wu, winner of the first Honens piano competition in 1992, has since disappeared from the North American scene and is back in his native China, reportedly a successful piano teacher. Jean-Efflam Bavouzet, who did not win, has since become an established soloist on the international circuit. And so it goes. A great talent can have an off night at a competition. A merely very good talent can be at his or her very best. Identifying talent can be very subjective in any case. I was present for only the last few days of the Honens this time and a colleague who attended from the beginning insisted that the obvious winner didn’t even make the finals. Three pianists from a total of 10 who were invited to participate in Calgary (selected from a much larger number who had submitted audition tapes) made it to the finals, which involved playing a chamber program with the Azahar Ensemble and a concerto with the Calgary Philharmonic Orchestra conducted by Karina Canellakis. Namoradze’s concerto choice was the magisterial Brahms No. 2 in B-flat major. His competitors (each of whom walked away with $10,000) chose flashier pieces: 26-year-old Han Chen of Taiwan the Prokofiev No. 2 in G minor and 21-year-old Llewellyn Sanchez-Werner of the U.S. the Prokofiev No. 3 in C major. As it happens, Sanchez-Werner also won the $5,000 audience prize, awarded for the first time this year, demonstrating how the public and the “experts” do not always agree. Back in 1958, when Van Cliburn, at the height of the Cold War, won the first International Tchaikovsky Piano Competition in Moscow, the tall Texan was the audience favourite virtually from the beginning. But it reportedly was not until competition organizers secured Nikita Khrushchev’s acquiescence that they felt safe in awarding Cliburn the prize. Then there was the case of Ivo Pogorelic, the Yugoslav pianist who was eliminated from the finals of the 1980 International Chopin Piano Competition in Warsaw, prompting the resignation from the jury of the famous Argentinian pianist Martha Argerich. The resulting scandal launched Pogorelic’s career. Winning or losing doesn’t always matter. The experience of making music at a high level does. That helps explain why the Honens competition strives to identify “the complete artist,” not just the outstanding virtuoso. To do this, it requires competitors not only to play solo recitals but to collaborate in performances with other musicians — this year with baritone Phillip Addis and violinist (and concertmaster of the Toronto Symphony Orchestra) Jonathan Crow. They also have to participate in individual filmed interviews, talking about their approach to music-making. Having agile fingers is not enough. They need to project a personality. Each year (the event is triennial), the competition also invites a distinguished concert artist to listen to and interview each of the semifinalists, offering advice based on personal experience. This year, the distinguished American pianist Garrick Ohlsson was the mentor and he also presented a solo recital of his own, culminating in one of the most revelatory performances of Chopin’s G minor Ballade that I have ever heard. Talk about a complete artist!